I had an interesting experience this week as I pondered the subject of this post. Since I began writing this blog in February, I have been accumulating ideas for future posts in a journal I keep for that specific purpose. Reviewing that journal Tuesday night and reaching no clear decision concerning this week’s topic, I prayed for divine guidance as I prepared for bed. 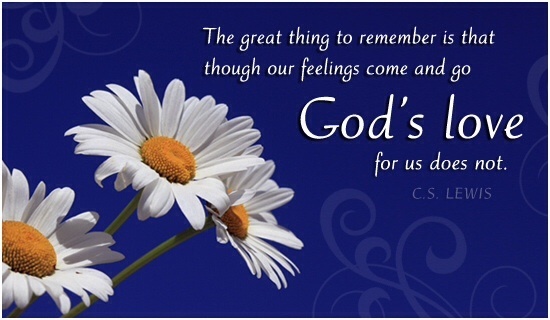 Immediately upon waking Wednesday morning, I received my answer as I was overwhelmed with the thoughts of God’s love. Interestingly, that was not one of the topics I had recorded in my journal. But I have found it always advisable that when God’s plans differ from my own, always yield to God’s plans. 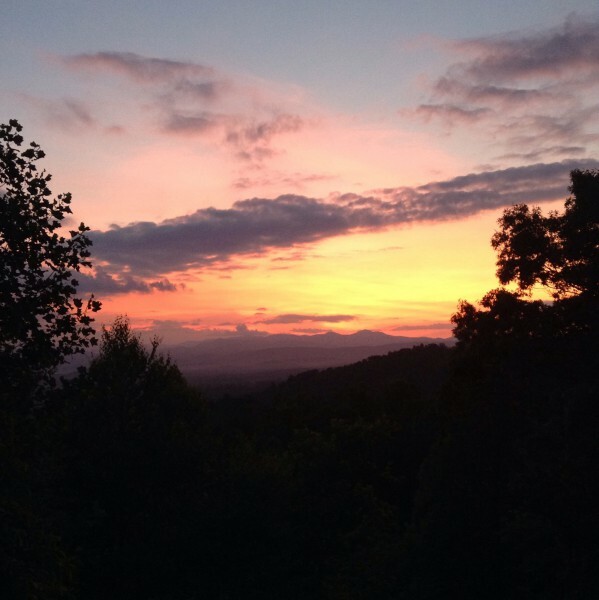 It is absolutely fitting to devote this 10th post to that subject, since the seeds of this blog were planted when my heart was flooded with an overpowering sense of God’s love one night last June while observing this beautiful sunset and reading John’s first epistle. But just how does one adequately convey the reality of the depths of God’s love. That is a challenge for even the most skilled of writers, much less for one as inexperienced as myself. Words are simply inadequate. Like trying to describe heaven from the perspective of earthly experiences, I believe that no expression of flawed human love even comes close to matching the perfect love of our heavenly Father. But thankfully, as the Holy Spirit reminded me Wednesday morning, I really don’t have to describe God’s love – He has already done so flawlessly in His Word. And there is little I can add to improve on that. Attempting to do so would only prove futile. And so, I will simply let the Lord speak for Himself and ask you to take the time to truly digest what God has to say about this most important topic. All the following verses are taken from the King James Version, because I believe no modern translation matches its eloquence on this topic. “Greater love hath no man than this, that a man lay down his life for his friends.” (John 15:13) The cross is the ultimate expression of God’s love for us. How can I improve upon those clear expressions of God’s love? I could go on and on, because God’s Word is one long love letter to us, his children. If you haven’t already done so, I encourage you to locate those verses in your Bible and highlight them. When you come to them in the future, take time to pause and reflect on God’s love, its impact on your life, and its implications for your future. In my post titled Glimpses Of Heaven, I spoke of my departed mother speaking to me in a dream one night, saying “Wait till you see Jesus! You won’t believe His eyes.” I’ve often wondered what it was about Jesus’ eyes that prompted that statement. The more that I have considered that question, the less I’m convinced that it had anything to do with His physical appearance and everything to do with the inexpressible love His eyes convey. I believe the greatest thrill of heaven will be when we gaze into the eyes of the One who loved us so much that He poured out His life that we might live eternally with Him. My prayer is that you may know and experience that love today and that it may overflow from within you and touch the lives of those around you. Recently I have been noticing a lot of attention being given to a concept called mindfulness. There was a segment on “60 Minutes” regarding this topic and a very interesting “Ted Talk” that I watched online. Without getting into too much detail about this latest cultural catchphrase, the gist of mindfulness seems to be rooted in the need to make the best use of one’s time by staying focused on the present and separating the truly important from the trivial. Being mindful is about being intentional with our time, rather than allowing our time to be overwhelmed with trivia or other people’s priorities. In this day of Facebook, Twitter, Instagram, Snapchat, and so many other distractions, it‘s easy to fall into the trap of letting the unimportant and trivial dictate the use of our time rather than consciously managing it for our greater benefit. If we’re not careful, life will just happen to us until one day we’ll wonder where it went. Sports psychologists make their living largely by teaching their clients to “stay in the present”, forgetting the bad plays, the bad shots, the unforced errors, and focus instead on the next shot or the next play. Many of us could benefit by applying that advice to our lives. One of the things I most appreciated about my parents’ generation, The Greatest Generation, is that while they were shaped by their past, and often scarred by their past, they didn’t live in their past. They lived in the present while planning and creating a future – not just for themselves, but for future generations as well. Practically speaking, for a Christian, mindfulness begins with Bible study and prayer. If you’re not setting aside time for that each day, then you will find yourself constantly walking in step with the world’s priorities rather than God’s. Prov. 3:5-6 says, “Trust in the Lord with all your heart, and lean not on your own understanding.” Following this advice begins with prayer and Bible study. J. Oswald Sanders, a noted Christian author, says “It is impossible for a believer, no matter what his experience, to keep right with God if he will not take the trouble to spend time with God. Spend plenty of time with him; let other things go, but don’t neglect Him.” In Col. 3:2, Paul commands us to “Set your minds on things above, not on earthly things.” In light of the resurrection that we celebrated last Sunday, we are called to live in awareness that our citizenship is in heaven. (Phil. 3:20) The Bible counsels us to be ALIVE – Always Living In View of Eternity! A few months ago, I watched a movie titled “About Time”. It was about a man who discovers the family secret that upon reaching adulthood, he would receive the ability to travel back to previous times in his life. He soon learned some of the drawbacks of trying to change some of his most painful and regretful experiences as he came to realize that many of those difficulties and disappointments led to some of his greatest blessings and treasures. But the greatest lesson he learned was by following the wise advice of his father, who advised him that when traveling back to previous moments in his life, to be careful not to change too much. He recommended that he live each day twice: the first time as we normally do, experiencing each day’s inherent unpredictability and stress, and the second time focusing on savoring the small joys and special moments that often occur without us realizing how special they are or how much we’ll miss them later. When my brother was placed in home hospice care last September, this was how he lived out the last four months of his life, cherishing each moment he had left with his wife, daughter, and his two precious grandchildren. 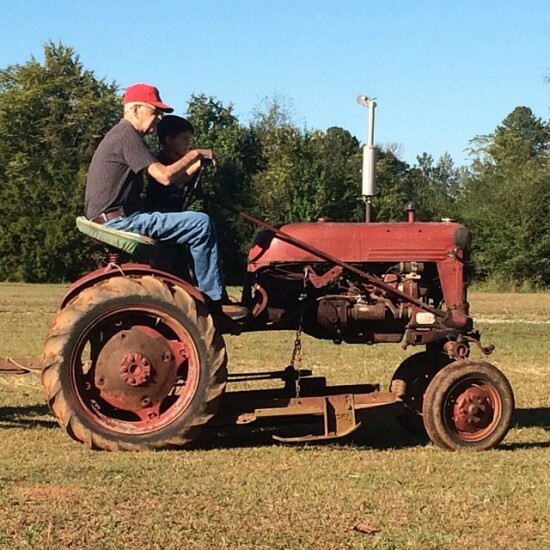 When I didn’t think he had any strength left to be able to climb up on his tractor, I was overjoyed one day to receive this photo of him with his grandson, Owen, taking him for one last ride with Pappaw! Ronnie learned the secret voiced so well by that great philosopher Tim McGraw of living like he was dying. While he didn’t go sky diving or Rocky Mountain climbing, and he certainly didn’t go 2.7 seconds on a bull named Fumanchu, he did take the time to love deeper, speak sweeter, give forgiveness he’d been denying, to grow closer to his Lord, and to treat tomorrow as a gift. He discovered that there’s no present like the time! Perhaps that’s the simple message of the concept of mindfulness – live like you were dying. After all, we all are, you know! 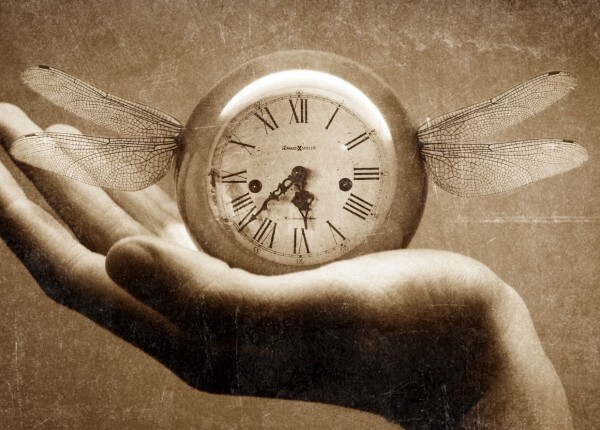 Speaking of time, I suppose I’ve taken enough of yours. So, until next time, may the grace, joy, and peace of our Lord Jesus Christ be with you all. And may you number your days aright that you may gain a heart of wisdom. These familiar words from Luke’s gospel articulate the central truth upon which our faith is based. As I said in my last post, the Easter story is so familiar that teachers and preachers often struggle to offer some fresh insight or present some deeper truths to consider. But in reality, Easter is truly a time to just reflect on the truths that we already know so well – the truths that are foremost on our mind when we think of that first Easter morning … the message of Easter. As you reflect on the message of Easter, what one word would you use to complete this sentence? .. The message of Easter is a message of _________. As I reflected on that first Easter this week, I thought of numerous words that fill in that blank quite well. 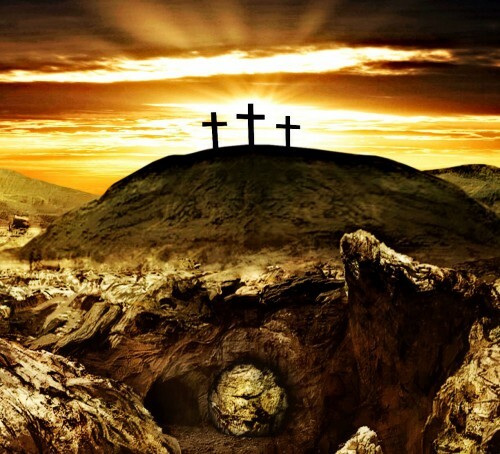 Perhaps the most basic and encouraging truth imbedded in the Easter message is that simple truth spoken to the women at the tomb – the truth with which Christians have greeted each other for centuries – the truth stated in three simple yet extraordinarily profound words, “He is Risen!” The message of Easter is a message of life. We serve a living Savior through whom is available the gift of eternal life – a Savior who lives in us in the person of the Holy Spirit that we might experience the abundant life He promises in John 10:10. That’s a profound statement Paul makes – that the same power by which the Father raised Jesus from the dead is available to us who believe. Let that sink in for a moment. Paul goes on to say in Eph.3:20, “Now to him who is able to do more than all we ask or imagine, according to his power that is at work within us…” I have often heard it said that we use less than 10% of our brain’s capacity. Imagine how much of God’s power we actually use compared to what is available to us. In recent years I have spoken at the funerals of several loved ones, including my mother, my sister, my brother, aunts and uncles, and a very dear friend. A number of people have commented that they did not understand how I was able to do that. And I must admit that initially I felt a little unsure myself. The grief that I experience at such times is so overwhelming. But as I seek the Lord’s comfort in the pages of His Word and am reminded of His promises, I am always filled with hope – a hope that redirects my focus from my own personal sense of loss to my loved one’s present reality. Ultimately, the message of Easter is a message of hope. The only reason I am able to overcome my own grief and speak on such occasions is the assurance I have that death is not the end for those loved ones. That because of our shared faith, we will be together again someday with our Lord and Savior. At my sister’s funeral, I discovered that one of her favorite songs was “In Christ Alone”, written in 2002 by Keith Getty and Stuart Townend – a song I mentioned in my last post. It has become one of my favorite songs, although I can hardly sing along with it now without choking up. As it was being sung that day, the lyrics ministered to me and reminded me of those tremendous truths – the truths that enable believers to grieve differently from those who have no hope. (1 Thess. 4:13) – the truths of Easter. “There in the ground His body lay, Light of the world by darkness slain. Then bursting forth in glorious Day, Up from the grave He rose again. And as He stands in victory, Sin’s curse has lost its grip on me. For I am His and He is mine, Bought with the precious blood of Christ. Those verses so clearly and concisely articulate the message of Easter – the message of love, the message of life, the message of power, and the message of hope. But wait – there’s more! Certainly, the message of Easter could never be adequately conveyed in just one word. It is indeed the thread that runs throughout God’s Word. But let us never forget that the message of Easter is also good news. And what do we do with good news? … We share it. The message of Easter is not just for those of us who believe – it is a message we have been commissioned and empowered to share with the world – the living hope that is ours through the glorious resurrection of our Lord and Savior, Jesus Christ.